Do you want to organized a healthy food for every day , no fat and healthy 9 then write your weekly or monthly food list , don't let your life in mess up . Do your kids want to drawing and always write on the wall 9 leave a dry erase board to him /she , they will be happy . 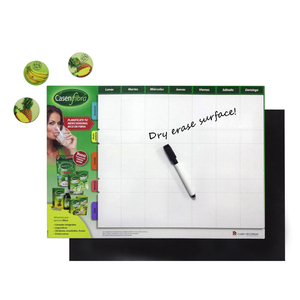 the stain resistant calendar with the water proof lamination will stay in place and it won't get ruined . 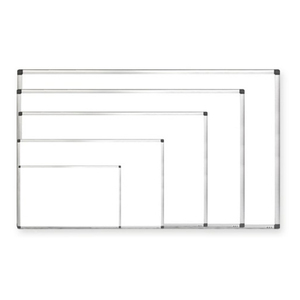 The depth of frame is 17 mm FRAME: anodized aluminum thickness 0.6 mm. The width of frame is 20 mm If you need more details,please contact us. Custom size,color,material are available. 2. Why do you believe your price is competitive9 We have produced the dry erase calendar for many years. The price was good, however the calendar inevitably stain. However for the dry erase calendars, sometimes we have some stocks of our own design. Sure (Xiamen) Import & Export Co., Ltd. 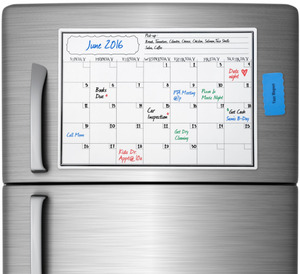 These dry erase prints are on a strong magnetic sheet so if your refrigerator will accept magnets then these will work for you too. 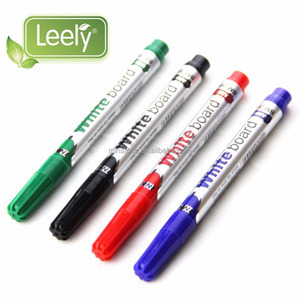 Each dry erase magnet comes with a set of four dry erase markers in black, blue, green and red. 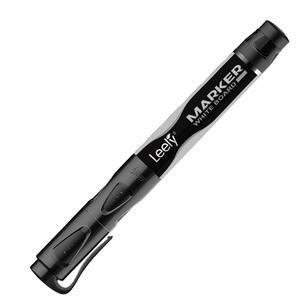 Finally you also get a set of four magnetic marker rings that slip over the markers so they will stick to your refrigerator too. 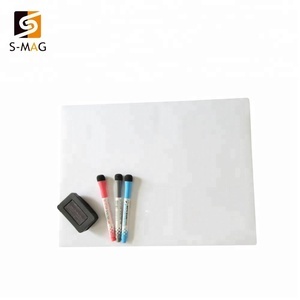 custom made printable dry erase magnet board with marker Parameter 1, Material 1) Rubber magnet 0.5-1.0mm 2) Printed art paper 200-250gsm with glossy plastic film lamination 3) Material with EN71/6P standard compliance 2, Process Printing + die cut 3, Size Customized, e.g. 15*20 cm, 20*30cm 4, Logo Print as your need, custom logo printing 5, Color CMYK 4C full color, or pantone color, can be customized 6, Thickness By customization, normally 0.5mm-1.5mm 7, Usage 1) Stick it on fridge door or other metal surface 2) Suitable for promotion or advertising Please see the following pictures for more details and choices. We have more than 13 years expierence in exporting promotional gifts and premiums, have rich experiences and great capabilities in design, manufacturing and supply chain. Hangzhou Mickey Magnets Co., Ltd. 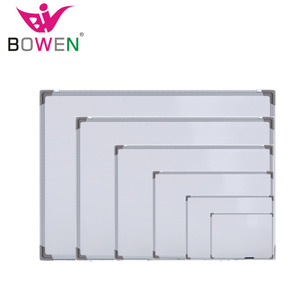 Packing & Delivery Related Products Magnetic Nail attached for WhiteBoard Magnetic Nail attached for WhiteBoard Magnetic BookMark Epoxy Fridge Magnet Glass Fridge Magnet Paper Fridge Magnet PVC Fridge Magnet Tin Plate Fridge Magnet Company Profile 1&gt; We have 3 factories in China. 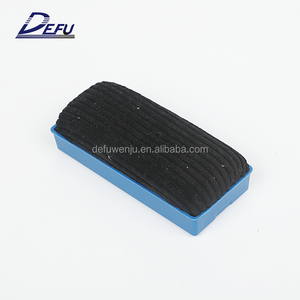 2&gt; We have been on Magnet manufacture over than 15 years. 3&gt; We have been service over than 500 clients worldwide. Tips 1. 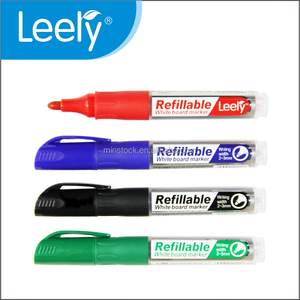 Don't use oil marker to write on the board, it cannot be written or removable if you can write it on. If you have legally registered patent, we can pack the goods in your branded boxes after getting your authorization letters. Q5. Can you produce according to the samples9 A: Yes, we can produce by your samples or technical drawings. We can insure all the goods before delivery have a perfect condition. 3.Please do not erase until a break of 10 seconds after writing. 6.Boards are fragile and not so good for courier delivery. 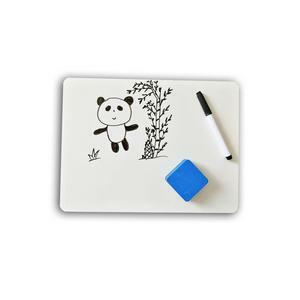 Alibaba.com offers 14,372 dry erase board products. About 37% of these are whiteboard, 10% are fridge magnets, and 1% are other toys & hobbies. 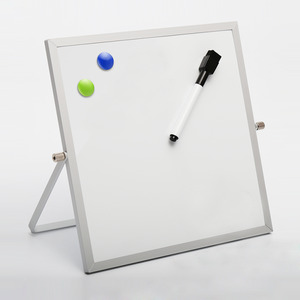 A wide variety of dry erase board options are available to you, such as whiteboard, bulletin board, and flip chart. 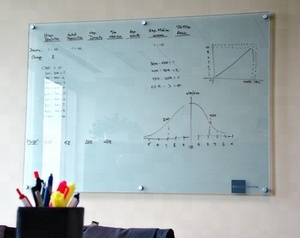 You can also choose from standard whiteboard, interactive whiteboard, and electronic whiteboard. As well as from no, yes. And whether dry erase board is free samples, or paid samples. 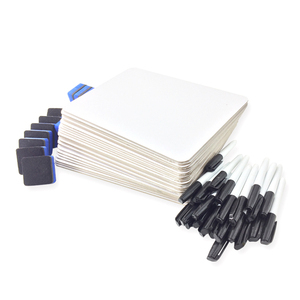 There are 14,377 dry erase board suppliers, mainly located in Asia. The top supplying countries are China (Mainland), Taiwan, and Hong Kong, which supply 97%, 1%, and 1% of dry erase board respectively. 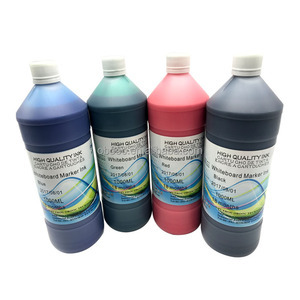 Dry erase board products are most popular in North America, Western Europe, and Domestic Market. You can ensure product safety by selecting from certified suppliers, including 3,683 with ISO9001, 2,517 with Other, and 896 with ISO14001 certification.